If It Seems Too Good To Be True – It Is! Hi, my name is Janet Romanowski and I would like to buy your iPhone. I am currently at sea. I will add $100 for shipping. I am buying this for a Pastor in Nigeria. I’ve dealt with PayPal before but this was just too weird to be legit. 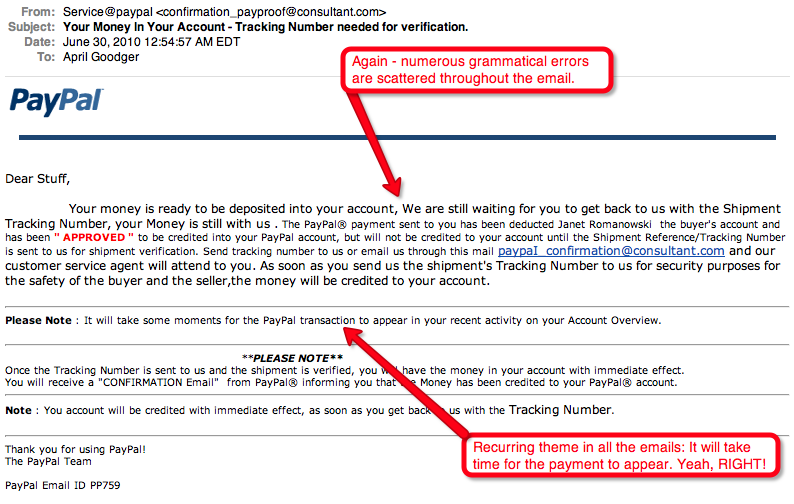 There are WAY TOO MANY grammatical errors in this email for it to be coming from PayPal. Upon calling PayPal – They NEVER ask for a Shipping Number before money is made available in your account. 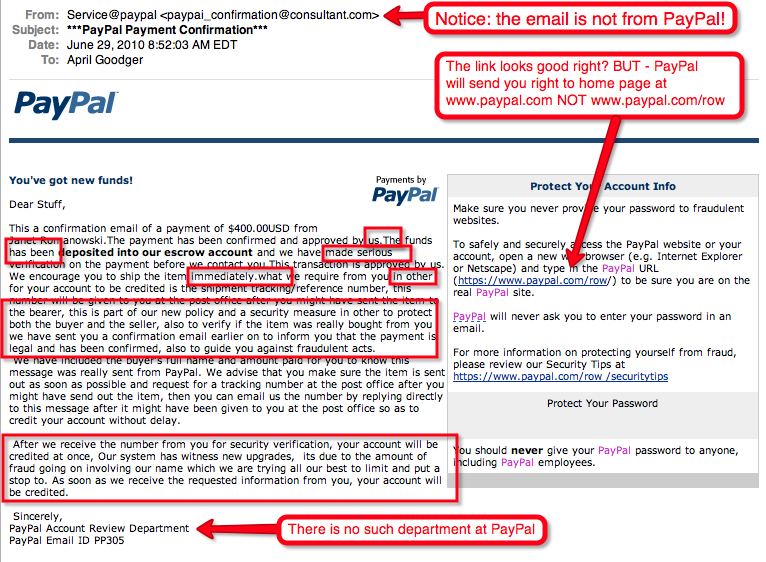 You can’t see it here – but this email also came from a Non PayPay account. There are also grammatical errors within the text at the bottom of the mail. Also notice where they want me to send the Tracking Number for the shipment – it’s not to a PayPal account. While we were excited to help out a “Pastor” in Nigeria, things just didn’t add up. Therefore, we decided just to let this one ride out and not respond. Surprise, surprise, surprise… We haven’t heard from anyone since. We’ve all heard this said before but I’m going to say it again: If it seems too good to be true, it is! That being said, we still have an iPhone 3Gs for sale. It has been upgraded to iOS4 and thus can’t be jail-broken or unlocked. If you are interested in it, let me know. If you dig around the blog, you’ll figure out how to contact me (Check out the About Me page). 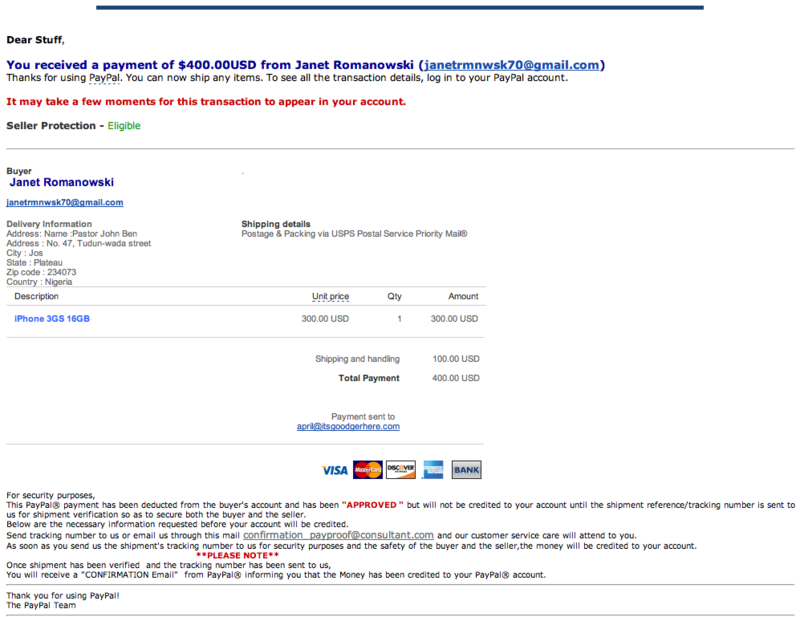 I hope that this might save someone from getting scammed through Craigslist and PayPal.